Last week I began my look into all 17 films that have grossed a total of $1 billion or more at the worldwide box office - we did the first 10, most of which sadly were crappy or meh. With that over with, we're finally onto a constant flow of positivity with the remainder of the list! Enjoy! Christopher Nolan's Batman trilogy got off to a decent start in 2005 when Batman Begins earned $373 million worldwide, and enjoyed even more success with The Dark Knight in 2008 - consequently, the hype garnered from these films made fans extremely keen to watch the long awaited conclusion in 2012. The Dark Knight Rises went on to earn $1.084 billion worldwide, but isn't as admired as its predecessor due to some serious plot holes and a convoluted, melodramatic story. It's likeable and boasts visual brilliance, but perhaps Nolan could've focused more on his actual script instead of orgasming over the endless spectacle and practical scope. The Dark Knight Rises was backed by tons of hype - but nowhere near enough to stop it dominating the most successful film of 2012, Avengers, which earned a whopping $1.5 billion worldwide. Uniting superheroes from the Marvel Cinematic Universe franchise which began with Iron Man in 2008, Avengers has some ridiculous plot holes and poorly timed jokes but remains a thoroughly entertaining and potent action film that never forgets the humanity of its protagonists. It's a shame the second phase of its franchise has so far been utter garbage, but maybe its 2015 sequel can turn things around. We'll see. The climactic finale of the Lord of the Rings trilogy was always going to be a hit - earning $1.1 billion worldwide, it certainly lived up to expectations. Incredible earnings aren't the only thing to boast about; the film won all 11 Academy Awards it was nominated for and remains one of the most critically acclaimed films of all time. 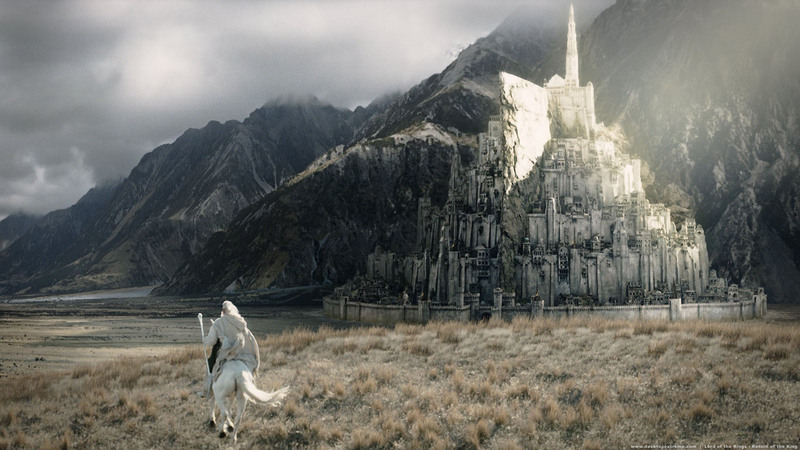 The epic 3 hour blockbuster showed that the fantasy genre can broaden out beyond geeky niché fanbases, even more so than the Harry Potter franchise. It's a hard film to sit down and watch due to its 201 minute run time, and it does get boring, but the story beneath and the visual effects used to craft it make for an epic conclusion to a great trilogy. The decision to split the final Harry Potter novel into two films created a severe lack of balance - the first part, while enjoyable, felt a little underwhelming and didn't thrill audiences. The second part on the flip side was bigger and better in both scope and drama, making it a satisfying conclusion to an age long franchise. Deathly Hallows - Part 2 of course went on to be the highest grossing of the Potter films, leaving cinemas in 2011 with a worldwide gross of $1.3 billion. It may not have won all the awards that Return of the King did, but this conclusion is still just as powerful. When Toy Story hit cinemas in 1995, it made history and saved the almost bankrupt Pixar from being sold away at a loss. The franchise went on to become one of the most cherished in film history - kids who watched the first two instalments in the 90s were adults by the time the threequel arrived in 2010, meaning them and a new generation of children lined up to see what was possibly the most anticipated animated film of all time. Earning $1.063 billion worldwide, Toy Story 3 is the highest grossing animated film and the only one to cross this moneymaking milestone. These accolades don't go undeserved - these toy characters are brought to life in a complex manner like never before. Gorgeous visuals, genuine emotion and a beautifully told story make for one of Pixar's finest works in recent years. Despite earning a record breaking $423 million in the US and $1.066 billion worldwide, the second Pirates movie didn't click with critics and audiences and many became disinterested for the future of the series. It's not hard to see why reception was so polarised - the run time is a bit bloated and the comedy sometimes forced. Despite its shortcomings, the gorgeous special effects, interesting story (I thought it was anyway) and superb villain make for an highly entertaining blockbuster that in many ways top its already brilliant predecessor. These words come from a biased fanboy of the series, but hey, what you gonna do. Daniel Craig first starred as Bond in the reboot Casino Royale, which earned nearly $600 million worldwide back in 2006 and saved the declining franchise from losing its tired audience. Its sequel Quantum of Solace enjoyed similar success in 2008, but the popularity of Craig in the role, the hype surrounding the 50th anniversary and the growth of the franchise in the four year gap lead Skyfall to crush all records the franchise had previously established and gross a stunning $1.1 billion worldwide. Some find it hard to forgive the film's glaring plot holes, but they are of little consequence when the fresh depth to the story and characters and creative action scenes do so much to impress. Definitely one of the best Bond films, and highly deserving of its success. The Dark Knight garnered immediate fame due to the untimely death of actor Heath Ledger, but also for the acclaim his performance of the Joker received. It became a much bigger hit than its predecessor, earning $1.004 billion worldwide - it ranks as the 17th highest grossing film ever, and the lowest grossing film to cross $1 billion. However, with domestic earnings of $534 million, the film ranks as the fourth highest earner ever within the US. 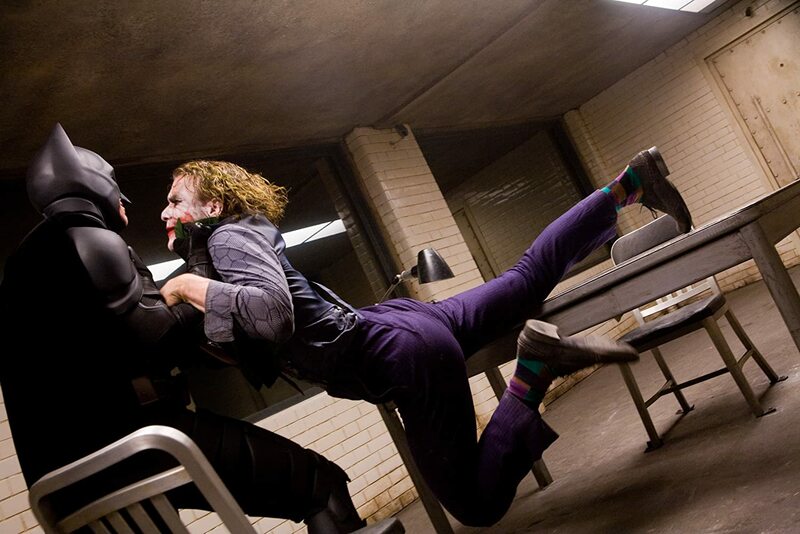 Heath Ledger's awesomeness aside, The Dark Knight is a genuinely thrilling superhero flick that also holds merits as a powerful crime drama. The nature of the character is perfectly captured through the visuals and despite some holes in Nolan's script, the film stands tall as one of my favourites. Marketed by its incredible special effects which still make me wonder how the film saw a 1993 release, Jurassic Park was welcomed to cinemas by tons of hype and eventually earned over $900 million during its initial run. After an IMAX 3D release in 2013, the film's earnings escalated to $1.029 billion, making it the 17th film to cross this milestone and the third to do so due to a rerelease. Its effects still impress even in modern cinema, but what makes Jurassic Park such a fantastic film is the thrill of the adventure and the pleasant sense of fun. It's scary at times, but also energetic and clever, giving it a broad appeal. It stands tall as one of my favourite films of all time, and I hope Jurassic World is the sequel that can finally do it justice.